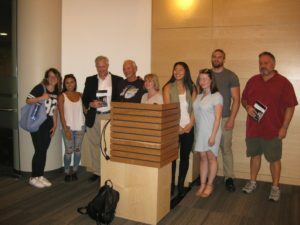 In a room filled with engaged people, the launch of The Boy on the Bicycle, by Nate Hendley, proved a great success at the Toronto Reference Library. Win Wahrer of Innocence Canada was in attendance, as were members of Ron Moffatt’s family. 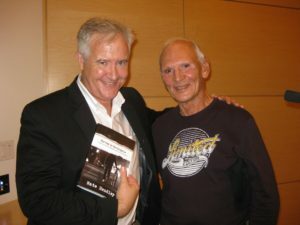 The investigative book examines the wrongful conviction of adolescent Ron Moffatt in 1956, for a brutal murder committed by serial killer Peter Woodcock. 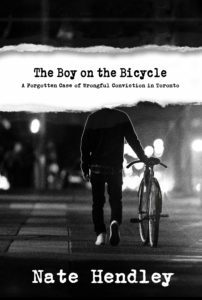 If you haven’t already picked up your copy of The Boy on the Bicycle, it’s available in trade paperback and eBook directly through Five Rivers, or from your favourite online bookseller. It is Five Rivers’ sincere hope you will read The Boy on the Bicycle, and add your voice to others who are advocating for recognition of the egregious wrong done in 1956.